In addition to the benefits above, a permanent record of propeller measurements is created and maintained in our database for future reference. It is important to consider that many new propellers only meet Class II or Class III tolerances. Propellers tuned to Class I and Class S pitch tolerances for higher RPM applications will improve performance, fuel efficiency, and provide smoother operation. Properly tuned propellers also reduce stress and wear on engines and bearings. 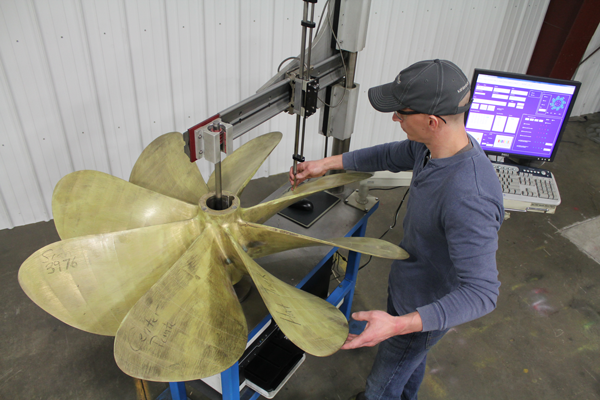 Detailed propeller condition reports are supplied for each customer order including initial propeller measurements and measurements after repairs are completed.